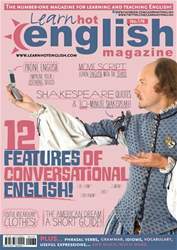 LEARN ALL ABOUT SHAKESPEARE’S PLAYS. SHAKESPEARE’S WRITING IS FULL OF PASSION, HUMOUR, DEPTH, PAIN, JOY AND WISDOM, BUT THE STORIES ARE FAIRLY BASIC. HERE ARE THE SUMMARIES OF 6 FAMOUS SHAKESPEAREAN PLAYS. Theseus, the Duke of Athens, wants his daughter, Hermia, to marry Demetrius, but she loves Lysander. Hermia and Lysander run away and go into a strange, enchanted forest complete with a donkey called Bottom and a mischievous fairy called Puck.